Samsung may have begun as a small export business just before World War II, but it has grown into one of the world's top electronics companies, making a variety of consumer and industrial products, including Samsung cameras! Over the years, Samsung's camera lineup has included ultra compact and digital SLR models, although the company now focuses primarily on mirrorless interchangeable lens cameras and smartphone cameras. Samsung has been well known in digital camera circles over the years as a great innovator, including introducing a dual screen camera, which included a tiny LCD screen on the front of the camera to allow for easier shooting of selfies. Samsung was founded in 1938 in Taegu, Korea, selling dried Korean fish, vegetables, and fruit. Within about three decades, Samsung-Sanyo Electronics was established as part of the Samsung company, and the electronics arm of Samsung created its first black-and-white TV in 1970. Over the next 20 years, Samsung expanded globally and began manufacturing several consumer electronics products, including microwaves, VCRs, computers, and air conditioners. Samsung initially manufactured cameras for the aerospace industry in the mid-1990s, before migrating to consumer digital cameras. The company also has become a world leader in creating cell phones with camera capabilities. In 2005, Samsung created the world's first 7-megapixel digital camera cell phone. Samsung has subsidiary companies all over the world. Samsung Electronics America is headquartered in Ridgefield Park, N.J. Most of Samsung's digital camera offerings are inexpensive models aimed at beginning photographers, although more experienced photographers will find a few cameras. 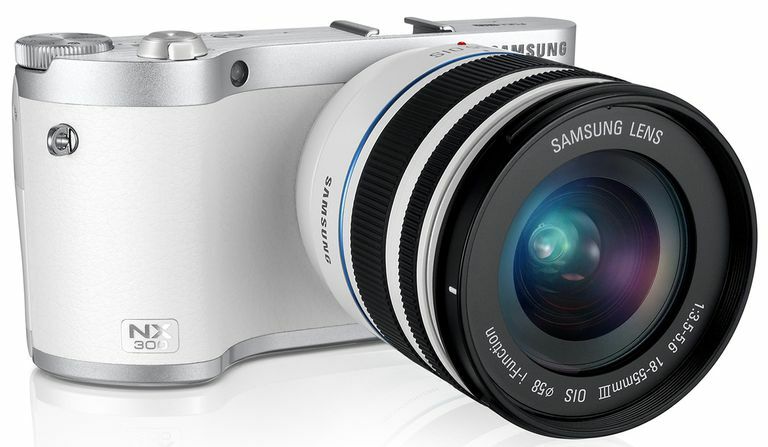 Visit the Samsung Web site to find a few accessories for Samsung cameras, primarily lenses and batteries. HZ Series. Samsung uses the HZ line as its "mega-zoom" series of cameras, including the HZ10W, which offers a 10X optical zoom lens. Look for most of the HZ cameras from Samsung to cost between $300 and $400. SL Series. Samsung's SL line of cameras primarily is considered an easy-to-use series. They're typically inexpensive models with average features, but they are very easy to use for beginners. The SL family of cameras is the most populous among Samsung models, and most SL models cost less than $200. TL Series. Those wanting a stylish, ultra-thin camera from Samsung likely will turn to the TL line of models. TL cameras have begun featuring Samsung's Smart Auto feature, which attempts to match the camera's settings to the photograph's subject and lighting conditions automatically. TL cameras typically cost from $200-$300. Digital SLR. Samsung also occasionally offers digital SLR cameras aimed at intermediate to advanced photographers. You can expect to pay $1,000 or more for these models. Related products. Samsung manufactures a wide variety of electronics for consumers, including kitchen appliances, mobile phones, LCD TVs, LED TVs, home appliances, smartphones, DVD and Blu-ray players, digital camcorders, computer monitors, computer hard disk drives, and computer optical disc drives. For industrial and business customers, Samsung creates closed-circuit TV systems, computer storage, semiconductors, high-end LCD panels, printers, fax machines, and telephone networks, among other items. Samsung's history as a consumer electronics manufacturer is long and successful. And it does a great job with Samsung digital cameras too. Where Are Canon Cameras Made?